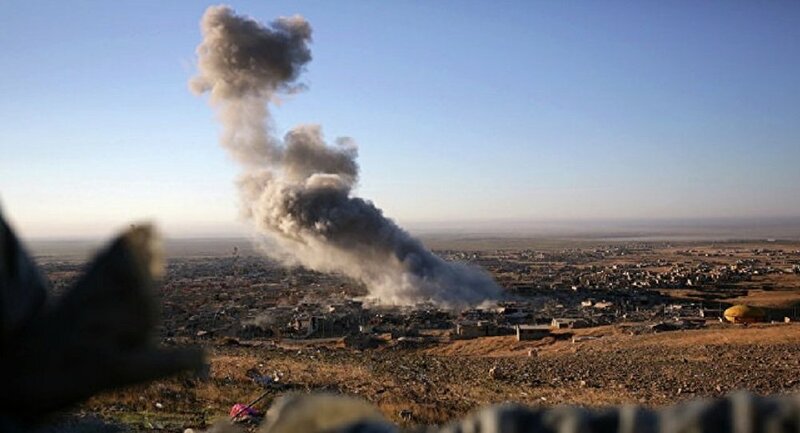 US-led coalition warplanes have carried out an airstrike targeting a group of civilians fleeing the town of al-Sousa southeast of Deir ez-Zor, SANA reported, citing its sources. According to SANA, dozens of families from al-Sousa had to escape bombardment by US-led coalition warplanes that have been carrying out strikes for days. The news agency said many civilians had been killed and injured. Last week, a warplane from the US-led coalition reportedly struck two settlements in Deir ez-Zor, killing over 30 civilians and injuring dozens. The US-led coalition of more than 70 members is conducting military operations against the terrorist group Daesh in Syria and Iraq. According to the coalition's stats, about 900 civilians have been killed by its strikes since operations started in 2014. The Syrian Foreign Ministry sent a letter last week to the UN Secretary-General's office and the president of the UN Security Council, in which it condemned the US-led coalition for targeting civilians in the eastern province of Deir ez-Zor. Syria's Foreign Ministry emphasized that the US-led coalition's warplanes were only killing Syrian civilians and destroying bridges as well as other important infrastructure points.